Should You Manufacture Your Smartphone In China? This is an interesting subject to think about. Chinese goods are always looked upon with contempt. They are cheap, unreliable and not meant for the American or European market. At least that’s the general opinion. Obviously, Chinese smartphones just can’t compete with the greats like iPhone and even Samsung. This is where you go wrong. Lately, there have been many Chinese smartphone manufacturers who have started competing head-on with big names. Are Chinese Goods Made Of Poor Quality? 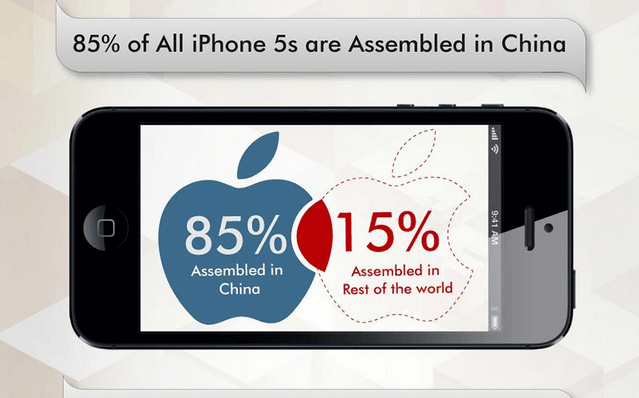 Did you know that 85% of iPhones are assembled in China? If iPhones assembled in China can be of such high quality, there is no reason why other smartphone manufacturers cannot produce quality goods. At the same time, it’s also true that most Chinese manufactured products are inferior. There are several reasons why there is such a variance in quality. The foremost reason is quality control. Local Chinese manufacturers in their hurry to roll out their smartphones avoid or downright ignore quality control aspects. This is a recipe for disaster. However, these enterprises justify their casual attitude claiming that the rock bottom cost of their devises compensates for the poor quality. The consumer in China is also not bothered as long as the price is cheap. These manufacturers fail miserably when they try to sell in mature markets like US and Europe. The quality of a product clearly depends on our attitude and emphasis. Choosing the right partner and manufacturer in China is critical to your success. The second reason for churning out poor quality devices is the quality of components and raw material. Sourcing the right components is an important factor in the overall quality of finished product. This aspect is tougher than it looks. Discriminating between bad and good suppliers requires knowledge of the local market and environment. There are many fly by wire operators who simply vanish after pocketing the advance. Chinese market is quite tricky and many US and European enterprises have burnt their hand here. You should therefore be extremely careful while choosing suppliers. The third reason impacting quality is the actual manufacturing process. The factory facilities can make or break a product. Seasoned outsourcing experts are aware of this fact and therefore choose manufacturing and assembly partners with extreme care. Cost is sometimes a reason why some may turn to unknown Chinese manufacturers. This is not a good practice since culturally the locals are known to cut corners, eventually leading to sub-standard products. More than anything else, you have to understand the culture and mindset of the local Chinese businessmen. There is a tendency to make a killing from a single contract and there is a lack of long term commitment. This psychological barrier has to be somehow breached if you want to produce quality products in China. One way is to get US or European management to handle the manufacturing processes in China. These professionals know the Chinese market well and can ensure that your product is manufactured using quality components and in a proper factory environment. In the end, the cost incurred in engaging a professional unit can be easily justified and compensated by superior quality products.